Headed to Paris this summer? 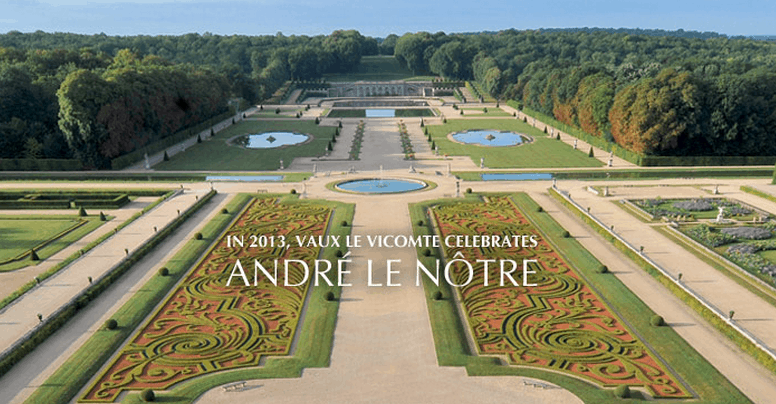 Plan an excursion to Chateau de Vaux le Vicomte, a forerunner of the Palace of Versailles, which is located only 30 miles from the city by train or car. It was built by Nicolas Fouquet, a finance minister to King Louis XIV, who was loathed for his extravagant displays of wealth and opulence. “Then the minister made a big mistake,” says Balwinder Prabhakar, a tour guide in Paris. “He threw a big party at Chateau de Vaux le Vicomte and invited the King, who was green with envy at seeing such splendor compared to his own Louvre Palace.” So the King decided to imprison Fouquet, she says, confiscating the property and then hiring the same architect and landscaper to build Versailles. Throughout the summer, the family owners will be welcoming visitors to step back in time and visit this magnificently furnished home as they celebrate the 400th anniversary of Le Notre’s birth. More than 70 films have been shot on location of the fabled Chateau and there are two restaurants on the grounds. For more information, including opening hours, prices and directions, see the website of Chateau de Vaux le Vicomte.